Bilbao is a modern and metropolitan city, located in the Basque country, a northern region of Spain that borders the Cantabrian Sea to the north and the Pyrenees mountains and France to the east/northeast. 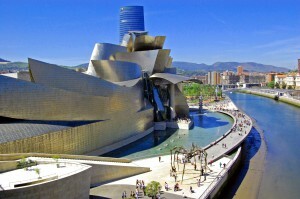 Hailed as the most important structure of its time when it opened, Frank Gehry’s Guggenheim Museum Bilbao has changed the way people think about museums and continues to challenge assumptions about the connections between art, architecture, and collecting. 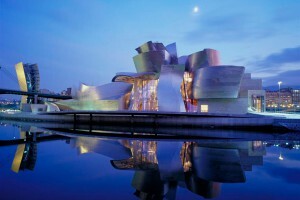 Bilbao’s shimmering titanium Museo Guggenheim is one of modern architecture’s most iconic buildings. It almost single-handedly lifted Bilbao out of its post-industrial depression and into the 21st century – and with sensation. 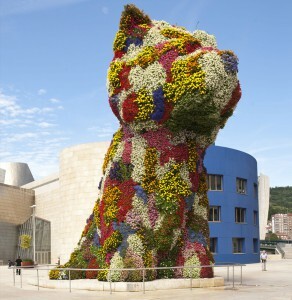 It boosted the city’s already inspired regeneration, stimulated further development and placed Bilbao firmly in the international art and tourism spotlight. 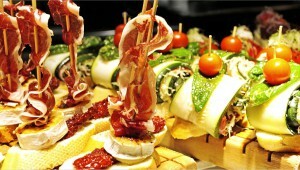 Pintxo pote (peen-cho potty) is a Basque institution, a bar crawl involving the frequent eating of pintxos — roughly speaking, the Basque equivalent of the Spanish tapa. 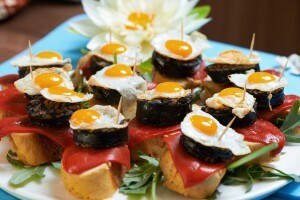 But whereas “in Spain” a tapa often comes automatically when you order a drink, a pintxo costs extra. 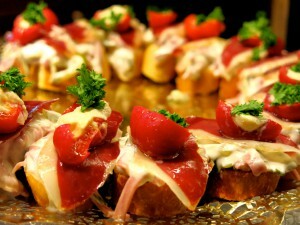 It is also, according to the rules of the annual competition to find Bilbao’s best pintxos, something that you must be able to consume standing up, in a maximum of two mouthfuls. The pintxo started life modestly, as a piece of tortilla or ham on bread but in recent years has evolved into many mouthwatering combinations. Expect to pay €1.20 to €3 for pintxos, from €1.20 for a glass of txakoli (cha-ko.lee) or wine. Most bars close on Sundays, or Sunday evenings, and opening times can be erratic. If a bar is closed, simply go to the one next door. 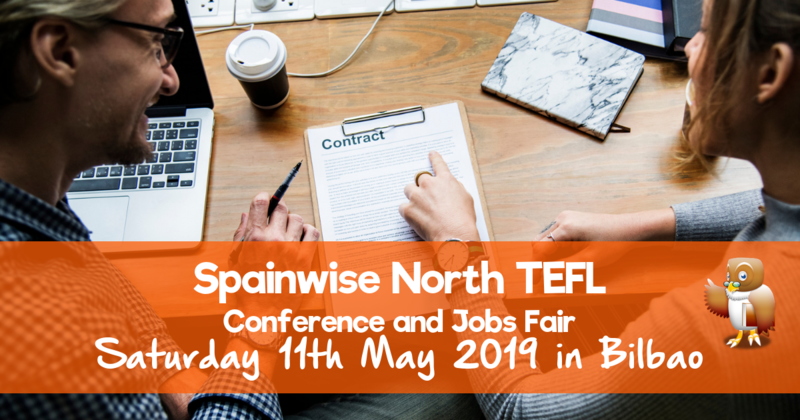 Not only a great opportunity to find out more about living and teaching English in Spain but also Bilbao is really such a great place to visit. When May comes around temperatures can rise to a very comfortable 20 o C – not the searing heat of the Costas in the height of the summer perhaps but very welcome, short sleeve weather just right for those of us used to colder weather. 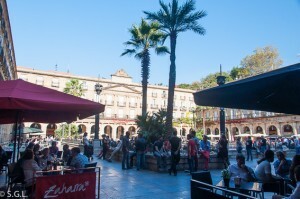 Ideal in fact for a wander around the classic old town; drinks and eats in the bustling Plaza Nueva or the vibrant Ribera Market; or just relaxing with a glass of wine by the river.